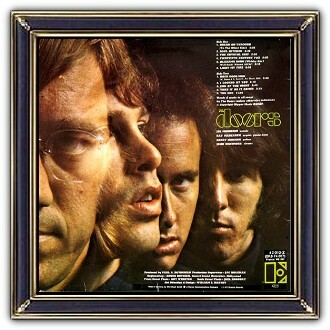 Debut album of the Doors with album art / photography by William S. Harvey and Joel Brodsky. The Doors were an American rock band formed in 1965 in Los Angeles, with vocalist Jim Morrison, keyboardist Ray Manzarek, guitarist Robby Krieger and drummer John Densmore. They were unique and among the most controversial and influential rock acts of the 1960s, mostly because of Morrison's lyrics and charismatic but unpredictable stage persona. 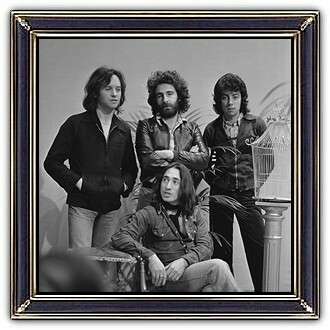 After Morrison's death on 3 July 1971 at age 27, the remaining members continued as a trio until disbanding in 1973. The Doors released eight albums between 1967 and 1971. All but one hit the Top 10 on the Billboard 200 and went platinum or better. 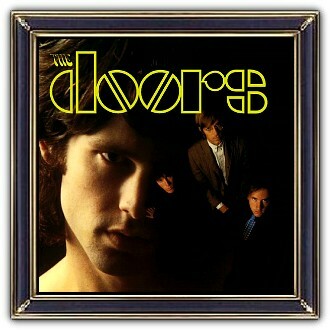 By the end of 1971, it was reported that the Doors had sold 4,190,457 albums and 7,750,642 singles. The band had 3 million-selling singles in the U.S. with 'Light My Fire' and 'Hello, I Love You'.